Being an entrepreneur is exciting, but equally demanding. Every entrepreneur has to bite off mouthfuls every day, and still sleep with the thought of an impending, super busy day awaiting. The question begs itself, how are successful entrepreneurs able to juggle so many crucial tasks and responsibilities without letting any of them fall? From organizing and chairing meetings to planning and executing novel strategies, from dealing with disgruntled employees to meeting prospective new clients – an entrepreneur’s day can be a complicated recipe. 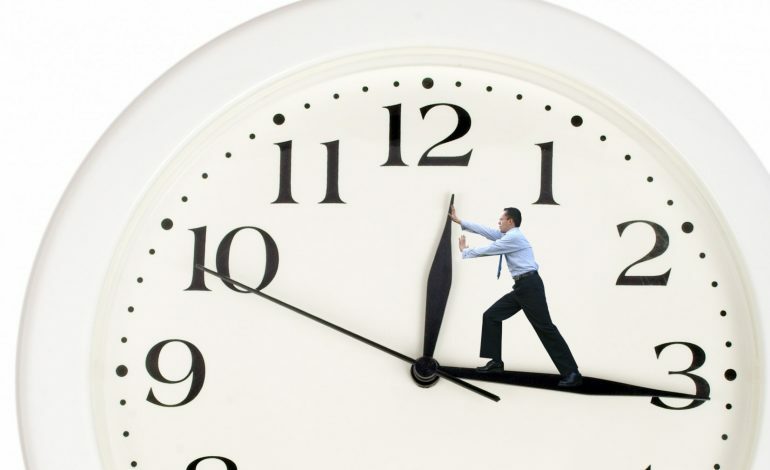 Ask any successful businessperson or entrepreneur, the one skill they cherish the most is – time management. That’s what helps them remain sane amidst grand chaos, and keeps the psychological costs of entrepreneurship low. The better an entrepreneur becomes at time management, the better the business will be. The best part – the more you practice time management, the better you become at it. This guide is my attempt to help entrepreneurs with 16 must-know and must-use time management practices. An entrepreneur can’t always predict how the day or the week is going to pan out. Rather than letting sudden requests for meetings, unplanned teleconferences, and time thieves upset your day, embrace the uncertainty by putting a premium on your time invested in unplanned activities. Not more than 5 minutes on a call, not more than 2 unplanned meetings a day, not more than 10 minutes on an instant messenger session with your regional counterparts – these ground rules will always ensure that you remain on top of your daily work schedule and stay away from time wasters. This is an indispensable trait for any entrepreneur, particularly to show it to the rest of the team that slacking and wasting of time is not an option. Meetings, for instance, could easily become the biggest time-drain for your team and you, unless you clearly implement ground rules to enhance productivity. Do this, and you’ll gradually forge a culture where people realize that they would need to bring their best game to the table when they’re on your time. 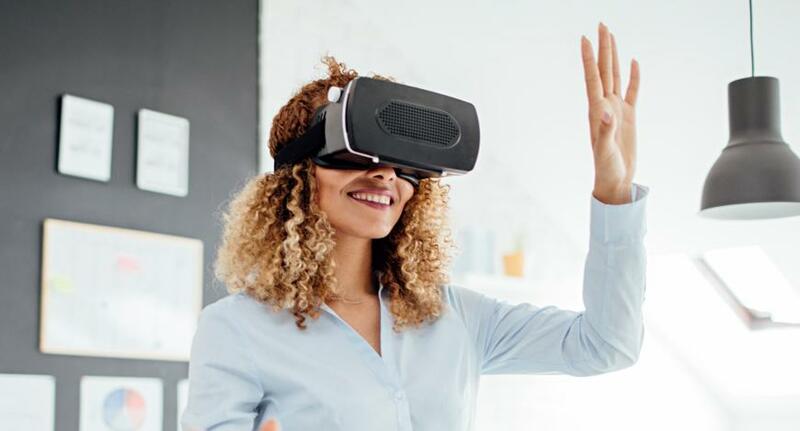 Did you know – technology has made such rapid advances that it’s now possible for educators to engage students, and deliver the experience of field trips and travel without investing an entire day, leveraging virtual reality? Technology has become a key aspect of almost every business. It’s an enabler for businesses in every aspect, right from communications to customer relationships management. The modern entrepreneur knows how to use technology to save precious minutes and invaluable hours every day. Here are some of the routine work elements that you can put on auto pilot to have fewer things to worry about. Your recurring business and personal monthly bill payments can be automated easily. Instead of setting up a weekly meeting for social media post planning, you could schedule posts for a month or more. Appointment reminder apps also make sure you know your commitments when you start your day, and ensure you don’t miss any meetings. I recommend you try using a time tracking app like Time Doctor to find out avoidable time-drains. If you’re in charge of several retail stores, shops, and offices, use a store execution automation service such as ZipLine, which can take control of communication, workflows, and reporting for store management. Here is also a list of essential time management apps that you can choose from to help you get more work done as well as save time. Initiate networking exercises by calling some of your business school buddies, other entrepreneurs, or even by leaving some conversation-starter comments on the social profiles of influencers relevant to your target audiences. An extension to the time management practice I suggested above is to anticipate interruptions, personal as well as business related. Particularly for entrepreneurs with family commitments to look after, it can be crushing to have their work day plan disrupted because of a family need. Even your colleagues could end up creating unnecessary problems for you to sort out, any time. A sudden requirement for a star performing employee to go on a long leave, a mishap at the workplace, your car breaking down on a solitary road, a howling email from your top client – it could be anything. If your schedule is packed to the brim with your own tasks, it becomes hard to make adjustments to accommodate these contingencies. This is why it’s crucial that you keep at least some white space in your daily schedules, so that your daily and weekly targets are not flayed off track because of emergencies. Before you pack up for a day, find some time (probably your self-appointment is the best time to do so) to write down 6 things you need to get done the next day. Arrange these 6 things in their priority order. Next day, start with the first task, and complete it before you jump to the next task. Keep on completing tasks in this manner, till it’s time to write that 6-task list again at the end of the day. This sounds way too simplistic to bring any benefits for you, right? I recommend you check out the science behind this method, and thank Ivy Lee for making it sound so simple. Here’s the iOS app for this method. Note: Charles Schwab was delighted enough to pay Lee $25,000 merely 3 months after evaluating results of his work (that’s more than $400,000 in worth today!). It’s highly likely you are doing several tasks a week that you can easily delegate to somebody by spending 10 to 30 minutes in getting them aboard and comfortable with the task. Because you don’t have those 30 minutes today, you find it alright to spend 5 minutes today, and for the days to come, in doing a task! Always remember, delegation is your best tool to free yourself up to bring the maximum value to the business. What would you commit your time to – editing written material for an in-house program, or showcasing your business’ prowess to new clients? Think of yourself as the quarterback on the football field; focus on calling the right plays, directing the game, and leading your players to the goal. Here are some delegation strategies to use. Ever see how horses are equipped with blinders, to make sure they stay on course during races, and don’t waste time in even one unnecessary step! Metaphorically speaking, you’d do well to put on blinders to get important work done, particularly one where you require laser sharp focus. Create ritualistic elements that prepare your mind for the high intensity work that awaits; it could anything, right from making coffee for yourself to doing a quick round of push ups. Eliminate distractions, right from ambient noises to unnecessary furniture. Ship off your excuses to a galaxy far away! Make your goals actionable, measurable, realistic, and timebound. Get started; there will never be the perfect time to start that all-important project, the best time was yesterday, next best is today. Sometimes, it’s just convenient for any entrepreneur to avoid brain-work by getting oneself busy in doing menial tasks. You will never waste time in any such activity if you follow this rule. Before you undertake any time consuming activity, take a moment to answer this – what is the result I need out of this? Whether it’s a conference you’re looking to attend, a client meeting, or an internal meeting – attach anticipated results to it, and you will see how easy it becomes to keep the effort always on-track, and aligned with goals. Go ahead, make it a point to write the results on a whiteboard in your meeting room before it begins, and cross-off what you don’t achieve. With too much on your plate and less time to chew it in, its natural instinct to strive to find more hours per day to get things done. Whereas this inclination to work hard and grind it out is admirable, it might not be the smartest tactic, particularly when your time is best spent in more value adding activities. Pareto Principle, coined by an Italian mathematician by the name of Vilfredo Pareto, is a time-tested principle that can help here. Vilfredo Pareto noticed that Italy’s top 20% rich people held 80% of the nation’s wealth. He applied the same principle to his garden, and found that 80% of its peas came from 20% of pea plants. Not only can you apply this principle to get the most important 20% work done in the entire day, but also can use the same to plan individual tasks, pushing hard to get your 80% result quickly by doing the crucial bits first. Check out the amazing Pareto 80 20 time management app to blend the power of this timeless principle with your smartphone’s powers. If it’s good enough for Toyota, Dell, and Harley Davidson, trust it work for you too. Just in time is a proven effective strategy of supply chain management. You can apply it to your life, and manage things as efficiently as these manufacturing powerhouses manage stock. Entrepreneurs, of course, need to be at the top of their game, learning new things, tracking market news, reading about latest technologies affecting their markets, and the trends shaping the industry. However, too often, you can lose crucial time in reading blogs, watching YouTube videos, and interacting with experts from tangentially related markets. This is where the idea of just-in-time learning comes to the picture. Particularly when you’re faced with a project that requires you to research and upgrade your knowledge, make sure you only spend time on stuff that can help you perform your next few tasks. Anything else that ‘might’ be important can wait. Leverage tools like Mozilla Pocket and Evernote to save digital content resources that might help you later, but not now. Fear of Missing Out (FOMO) will make it difficult; it takes confidence, self-assurance, and discipline to solely focus on absorbing information that can help you with your immediate goals. The results, however, are worth it. Overcoming initial inertia is always difficult, However, apart from that, entrepreneurs can end up wasting a lot of time in over-preparations and over-planning, when it’s not exactly needed. Remember the words – just start. The US Marine Corps follows something known as the 70% rule. If you have 70% resources, 70% information, and 70% confidence, just start. Kick starting can, ever so often, prevent entrepreneurs from getting caught into the rut of being anxious about every tiny variable that can affect their plans. This principle is also exhibited in how many startup businesses just hurry through to their soft launches and pilot testing based on minimum viable products. Dropbox is a good example; the founders used a 3 minute video to demonstrate the intended functionality of the service, even before the product was ready. The number of signups jumped from 5000 to 75000 overnight! Check out other similar examples of minimum viable products that made it massive in the markets. It’s alright for entrepreneurs to get the basic work done on their own when they’re on one-man missions. Slowly, but surely, you begin to realize that your time is more valuable than being spent on setting up meetings, balancing accounting entries, and proofreading marketing content. This is where virtual assistants come to the picture. 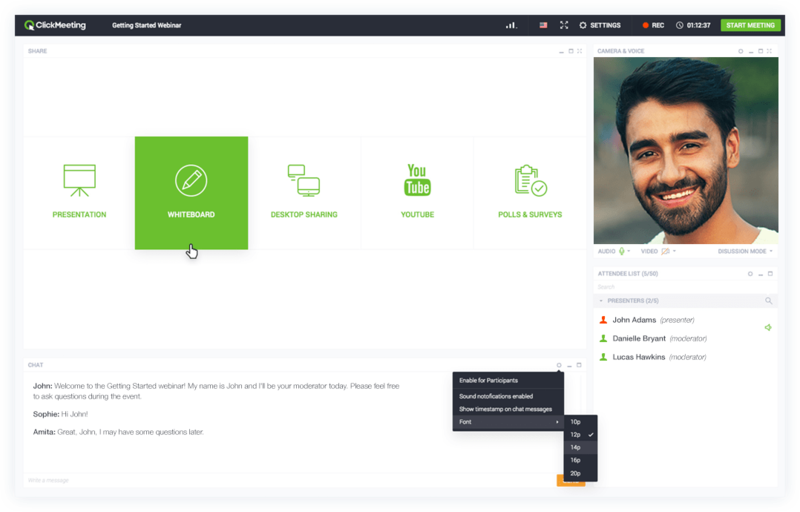 Leveraging powerful communication tools such as Skype for screen sharing and ClickMeeting for organizing quick branded webinars for your teams. Empower your VAs with sufficient technology and tools to connect with you and complete the allocated work seamlessly. As counterintuitive as it sounds, multiple periods of planned rest can significantly improve your daily productivity. 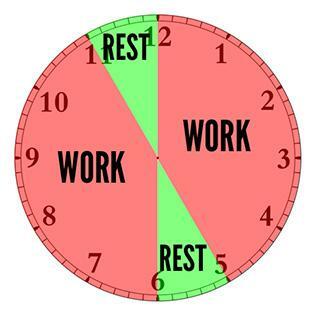 The timeless example to drive home the point is about how Frederick Taylor scientifically and empirically proved that rest was a great enabler for more productivity. Short naps can improve your productivity; it’s scientifically proven to help you perform better. Even a 10-minute meditation session can help you recoup your energy and work productively. There will always be tasks that demand your attention, that can’t be delegated, and have to be done every so often. Identify such tasks, and leverage technology to automate them. If you have a team of in-house web developers, you can easily seek their help to add basic functionalities to the applications you use on a regular basis to automate basic tasks such as report extraction. This will, indeed, take some time and effort upfront. However, considering that you can eliminate close to 90% effort of a repetitive task by automating the major tasks in the process, the returns are well worth the investment. For all of your basic digital marketing tasks for instance, there are pretty inexpensive and basic tools for automation. For example, for verifying validity of emails in a large list, you can use tools like NeverBounce. To send quotations and contracts, leverage an integrated, powerful, and secure platform for creating, collaborating on, and sharing sales documents and proposals. Similarly, you can use social media post scheduling tools, email drip marketing campaign managers, SEO campaign management to make your life easier. It’s amazing how even half an hour of early morning time can help you bring your thoughts together, plan your day like a pro, and get things done in super-charge mode. You hardly need to look beyond the success stories and biographies of the most famous men and women of our times to realize that one thing in common among them is that they all slept at a reasonably early hour and started their day earlier than most people. It is highly empowering to have time to yourself, with the peace of mind that there will be no email, phone call, or in-person meeting to attend to for some time. Here are simple techniques to help you focus on your work and get more done in less time. Start on a single task, with the target of completing it within 25 minutes, or completing a healthy percent of it in 25 minutes (if you know all of it can’t be done in such little time). Only work on that task for the 25 minutes. Take a rest of 5 minutes once your 25 minutes run out, and repeat the 25 minute cycle. The premise of this technique is that the time pressure and the focus on a single task help you work at peak efficiency, and record more progress. When you know you just have a 25-minute session to play with, you automatically ignore distractions and single-mindedly get the work at hand done. Another pretty unusual technique of productivity improvement and time management is called ‘unschedule’. This technique calls for you to not plan your work, and just put your meetings and some fun events on your calendar. The blank chunks of time then become your work-canvas. The core philosophy remains same as that in Pomodoro; that is, you know that you have only X number of hours of work to play with, which creates a time pressure, and puts you in your super-charge work mode. Plus, the element of working with the knowledge that a rewarding activity awaits you helps you get more done before the time for fun arrives! Entrepreneurs pay a secret price every day, and that’s linked to the stress they manage and face every day. To fare better, and build a strong business along the way, make sure you stay on top of how you spend your time. Joydeep Bhattacharya is a passionate digital marketing evangelist and author of SEO Sandwitch Blog. He has over a decade of experience in online marketing and has helped several clients increase their presence online.